This was another fun one. I really enjoy these interrupted landscapes. Enjoy and thanks for visiting! I’m really enjoying making these photo collages. This one was inspired by a podcast I was listening to about the value of living in or near nature. The background is a cityscape I made in Seattle and the photograph layered over it is of a brilliant winter-red tree I photographed by a lake in Colorado. Enjoy, and thanks for visiting! This one is a little different; I’ve combined several elements to create a kind of mirror effect. It reminds me of Stonehenge and 2001. Enjoy! And thanks for visiting. 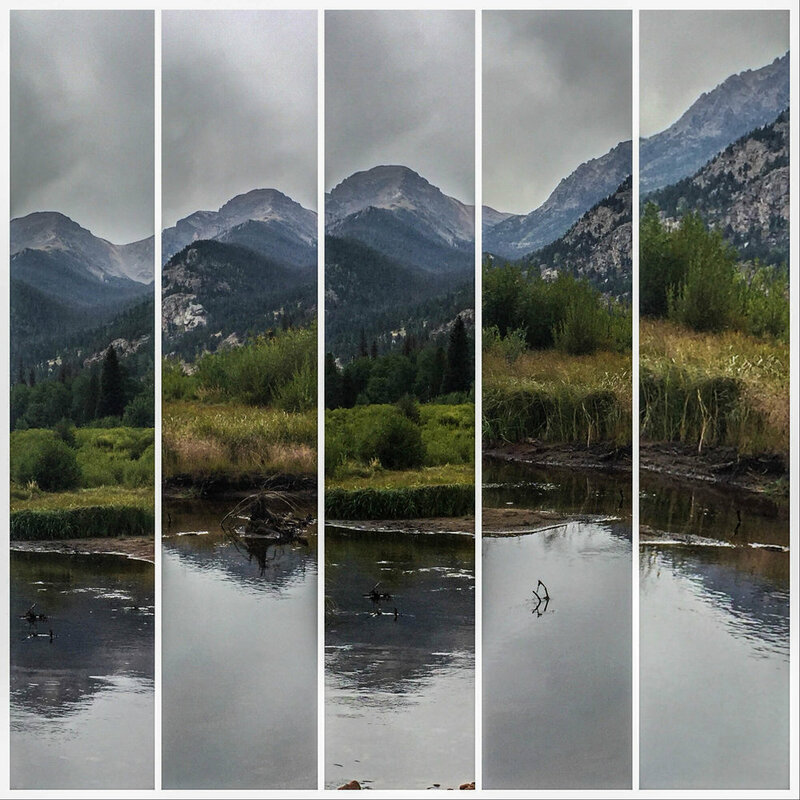 Tags photo-collage, photography, landscape photography, rocky mountains, collage. A beautiful hike just south of Boulder. 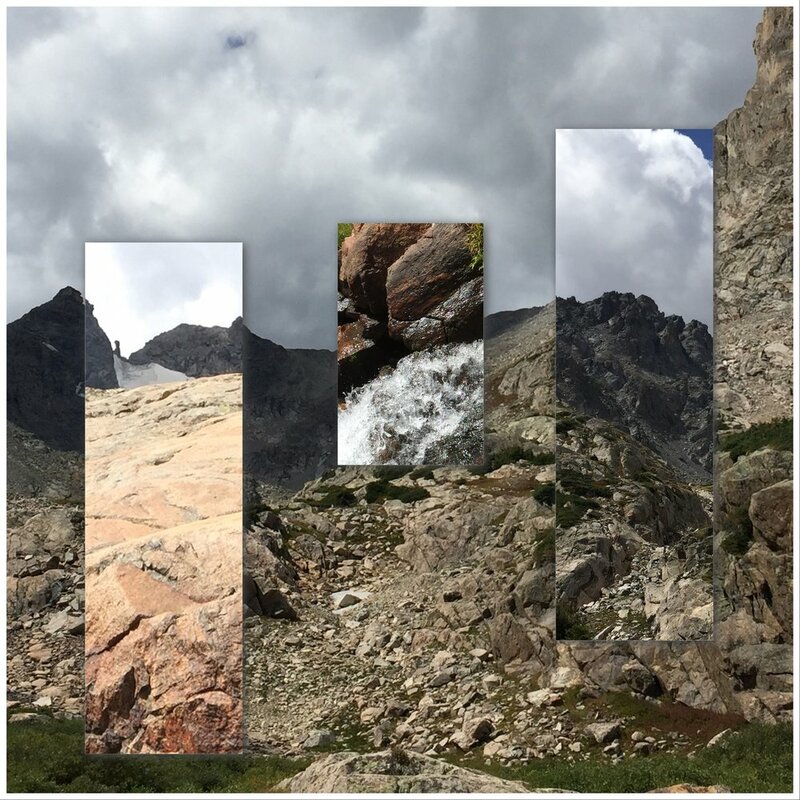 These are the moments from the hike, collaged together as remembered. Thanks for visiting! Clouds and lights: I have to remind myself to look up. 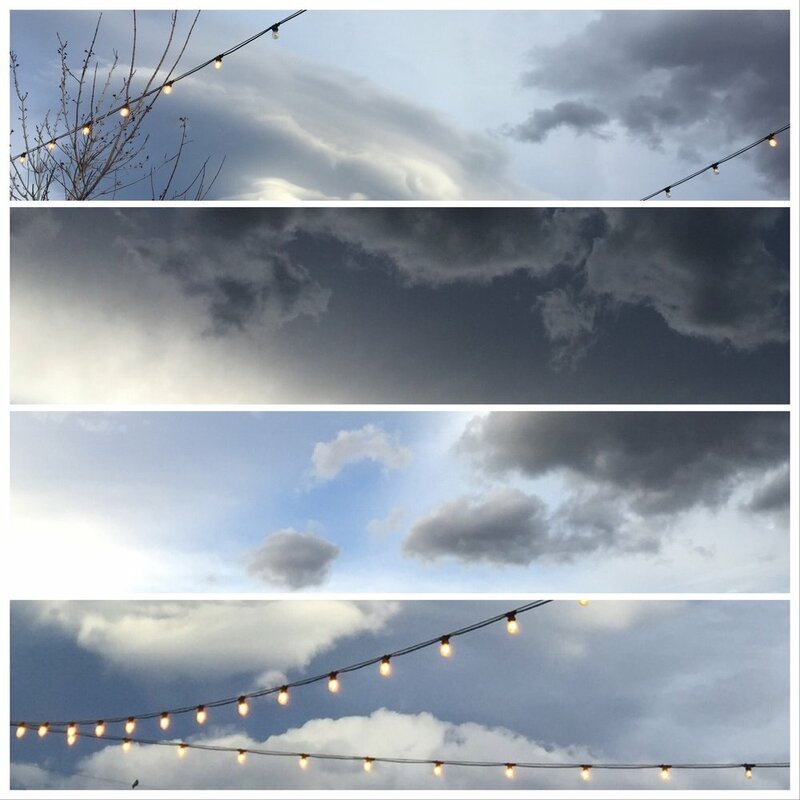 This little collage is a celebration of our beautiful Colorado skies. Enjoy and thanks for visiting! This is a straight photograph, as seen in lower Manhattan. I just love the colors and patterns in this image. I started to collage it with another but decided I like it as is. Thanks for visiting! This is what it feels like to walk through these landscapes. The rocky, twisty trail, the constantly changing vistas. It’s never one scene, but a dynamic stroll through a path of discovery. Thanks for visiting! I love taking these multiple shots of sites along the hiking trail and then rearranging them, breaking them up and introducing them as “Broken Landscapes”. This is a meditation on the value of our National Parks and our natural resources. Enjoy - and thanks for stopping by!